I’m feeling a little emotional today as the thought of the girls going off to school all day becomes real. You see, last year Nola and Kira were in a half-day kindergarten class. We have spent the afternoon together playing, making, reading, swinging, being... And now my sweet Curly Birds will be at school until 3. This Mother's Day, I wanted to do something special and meaningful for my mum. I wanted to find a gift that she would really love and enjoy. My mum is not very materialistic and she does not like a lot of clutter, so finding something I think she'll like can be tough. Plus, we live several hundred miles away and I am limited in what I can send. This year, I am proud of my gift. It is thoughtful, meaningful, and will last forever. For Mother's Day, I made my mum a story of our lives... as mother and daughter. It is a story that reminds her of the many ways she has selflessly been there for me. It shows her how grateful I am for having such a close relationship with her and celebrates our everyday life together. I made the story using Disney's new Story app. I created the story on my iPhone and on Sunday I will e-mail it to her. While this story is all about the two of us, the thing I'm most excited about is that with this app, I can create stories for her on a regular basis. The app is so easy to use that while my girls are playing, I can tell a story of their game and my mum can see and experience their play almost immediately. How cool is that? And perfect for my story-loving, sentimental mum. If you want, the app will automatically take your pictures and create a story. This makes the whole process super-quick and super-easy. But me, I love to curate life and make my stories just so. I have used the built-in editor to crop out the laundry piles and include some text. I always have my phone with me and take an obscene amount of pictures with it. My pictures tend to be forgotten and are almost lost on my filled-up phone. With the Story app, I can immediately tell a sweet story and share it - very fun! Here is another story I made of the girls building a fort for their tea party. This is what my mum is going to love the most... simple stories that will keep her a part of my girls' everyday life. 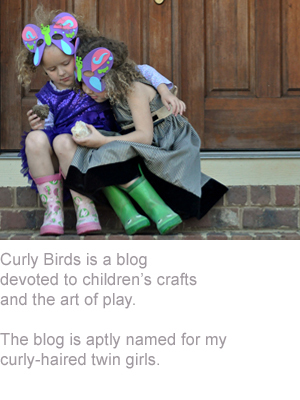 Follow Curly Birds on Facebook, and Pinterest. When I was a kid, Mother’s Day meant breakfast in bed. My sister spent a good part of our childhood planning and concocting breakfasts that included her favourite food - pineapple chunks. And my Dad would get up at the crack of dawn with us, pretending not to know what we were doing, to make sure we didn’t burn the house down. It takes a very special mum to accept years of cold, stogy homemade breakfasts with pure delight and surprise. But my Mum did it every year. Now, it is my turn to ‘sleep’ in while hearing crashes and giggles all in the name of breakfast in bed. It is my very favourite day of the year! The girls (and I) made this tray cloth last year to use on Mother's Day. It is simple to make, yet will last forever and always be meaningful. I was quite delighted when the folks at Tea Collection asked me to create a craft inspired by the dresses in their new Spring 2013 South African Style catalog. As I thought about the clothes, I could imagine Nola and Kira twirling in the dresses. 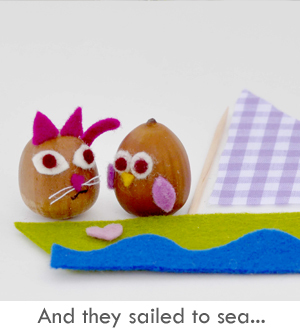 I created a little story book for my girls. I really want to wrap the dresses up and top the packages with my book as the gift card. Nola and Kira put on their new spring dresses and thought that something was missing. The girls looked around to see how they could make their dresses more colorful. Nola took her paint brush and dipped it in the dazzling yellow sun. Kira found pretty wildflowers and used the purples, blues, yellows and greens to make her dress feel more like spring. The girls were so happy in their beautiful dresses that they danced and twirled all day long. Nola's dress was inspired by the Woodstock Twirl dress. Kira's dress was inspired by the Strandveld Wrap-Neck dress. Visit the Tea Collection blog to see the latest in spring fashion, South African culture, and children's global incentives. 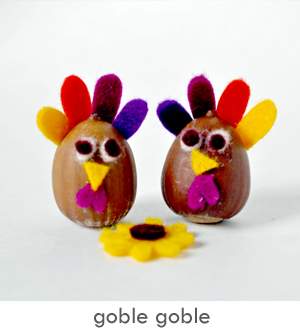 Follow Curly Birds on Facebook,and Pinterest. 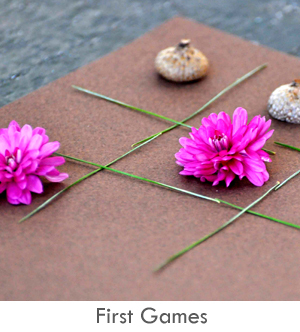 Step 1: Cut an 8” strand of twine, thread the needle and put three 3/4" beads onto the twine. Step 2: Tie the twine between two coffee mugs so you can easily paint the beads without putting finger prints on them. Step 3: Let the beads dry. Step 4: Cut a 10" strand of twine, thread the needle, string your beads onto the twine – I used seven 5/8" beads, the three painted 3/4" beads and then three more 5/8" beads. Note: Measure your twine to make sure it will fit over the lucky recipient’s head! Step 5: Tie a knot in the back. Step 6: Give. Wear. Feel pretty. I've been meaning to share these pictures with you. 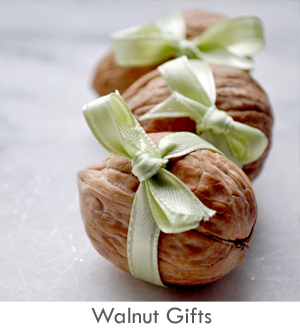 Do you remember my Crafty Christmas posts? I included an idea to create a Fairy House Kit from momfluential. I loved the idea so much I made four Fairy House Kits for my girls and their cousins. It was a perfect gift for four fairy-loving cousins. Well this is exciting - Disney asked me to be a contributing blogger to their site, Spoonful. From now on you can find me 3 days a week at Spoonful. 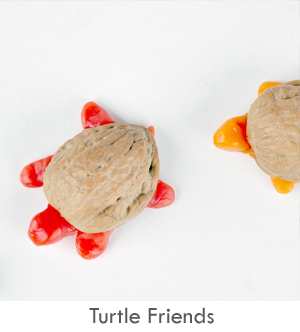 I hope to add lots of crafts and fun projects for kids to make and do. 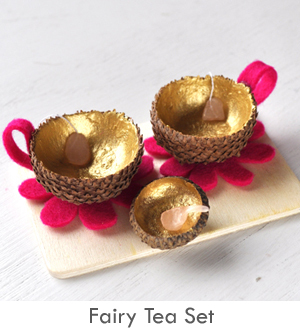 My first craft is up on Spoonful - it is a fairy tea set. I'm all about tea parties this week. 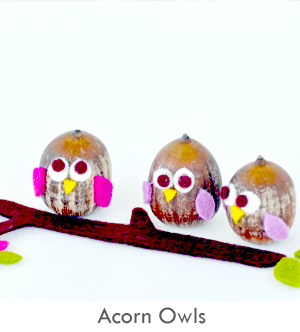 I made Nola and Kira each an acorn tea set and gave it to them for Valentine's (the one pictured is Nola's.) The girls, of course, loved their tea sets and immediately started pouring their little jars of love into the acorn tea cups. I hope you're feeling very loved today. Yesterday, Eric and I had a date morning at our art museum - it was perfect.